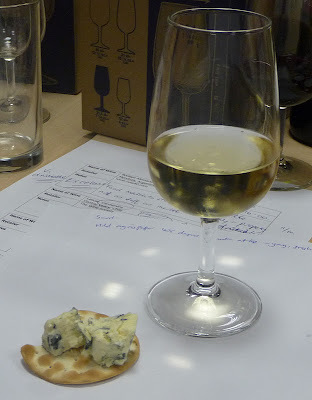 As part of the St Albans Food and Drink Festival a few weeks ago, I was invited by fellow St Albans food blogger Ren from Fabulicious Food to join her and Heidi from Heidi's Kitchen Talk for a night of Wine Tasting at Hertfordshire Wine School. I am a firm believer in drinking quality wine rather than large quantities of wine. Having spent a couple of summers visiting the Wineries of Temecula in California, where my passion for quality wine was ignited, I discovered that you can always remember the taste of a good wine just by thinking of it. I can still taste the amazing Almond Champagne and Port served in a chocolate cup from Wilson Creek Winery, the delicious Summers End Dessert Wine from Maurice Carrie, and the Cabernet Sauvignon from Bella Vista, one of my favourite wineries. I am quite often loathe to buy wine in the supermarket to drink myself and prefer to shop at more independent retailers where more often than not, I will have a chance to taste the wine before purchasing. I am always much more likely to purchase wine after tasting than not. During the last couple of years, I have also attended tastings held by Julia from Flagship Wines in St Albans, and so I was eager to see what Hertfordshire Wine School had to offer to whet my palette. Hertfordshire Wine School run wine tastings and wine courses for people who enjoy wine and would like to learn more. Hertfordshire wine school focuses on educating people about different types of wine, as well as tasting and picking out the hints and flavours which the wine evokes.There are a range of different courses to suit different needs, from a one night drop in, to 4 week, eight week and professional courses. 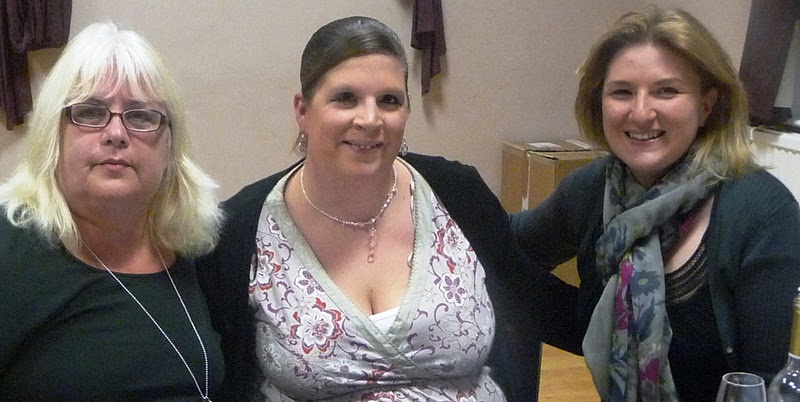 We attended one evening of the World of Wine course. The evening concentrated on wines from Chile and Argentina. There were probably around 20 to 25 people on the night that we went, and we all sat round tables with wine glasses, note pads and pens at the ready. David Rough, our wine expert started by giving us a background into wine. Did you know that there are over 1000 grape varieties in the world? Other grape varieties include Riesling, Muscat, Semillon, Chenin Blanc, Grenache, Rioja, Chianti and the Cab Franc grape. David then gave us a whistle stop tour through the other wine growing regions of the world before we concentrated on Chile and Argentina. The 5th largest producer of wine in the world.,90 percent of the wine produced stays within the country. 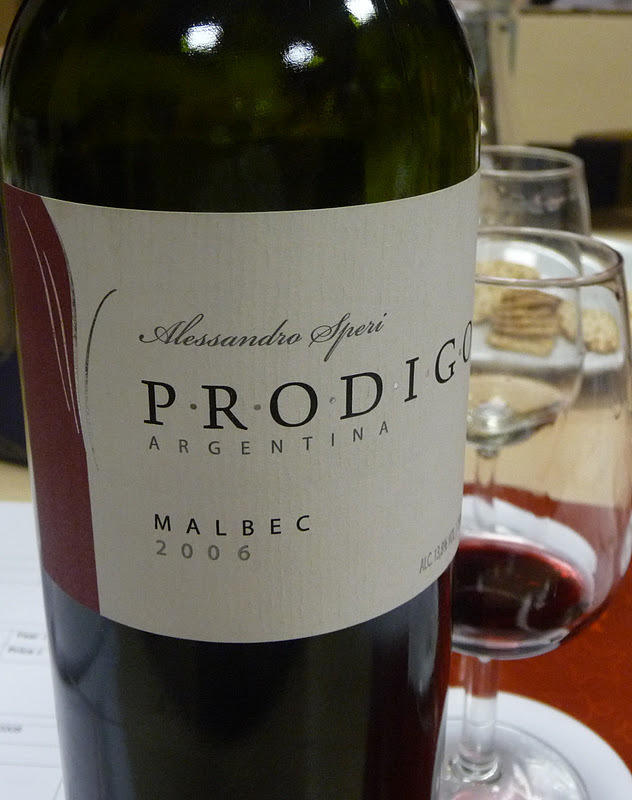 Argentina has a continental climate and the best vineyards are at altitude. The key grapes are the Malbec and Torrontes although others include the Cereza, Criola Grande, edro Giminez, Moscatel Rojado, Syrah, Muscat and Merlot. Chile is surrounded by deserts and Mountains on three sides. The vineyards are irrigated by melting snow from the Andes and Chile doesn't suffer from the phylloxera louse which ruins many other wine crops worldwide, and so lots of decent wine is produced at a decent price. Much of the wine from here is exported to the USA and the UK. Chilean grapes include the Cabernet Sauvignon, Merlot, Chardonnay, Sauvignon Blanc, Carmenere, Syrah and pinot Noir. The most popular vineyards in Chile are Casillero del Diablo and Candra Y Toro. After out brief introduction, we moved on to the wines that we were actually going to focus on and taste during the evening. 2010 Faldeos Nevados from Argentina and priced £6.95 from The Wine Society. This wine had hints of elderflower and peach, was very drinkable and was a good alternative from more tradiitonal dry white wines. I gave this wine an 8/10 and this was my second favourite wine of the night. 2010 Cono Sur, Gewurztrauminer from Chile and priced £6.90 from Sainsburys. This wine is good for Asian or spicy food and is a young, clean, intense wine with a golden colour. I gave this wine a 5/10. 2008 Rosado del Malbec from Argentina, priced £13.00 from www.ruta40.com. This wine had a strawberry like taste with hints of liquorice and acidic after taste. I gave this wine a 6 /10. 2008 Nostros Gran Reserva Merlot from Chile, priced £8.41 from Cellar Door Wines, St Albans. Aged in Oak, this full bodied wine with hints of mint, capiscum and berries is very popular in Chile and goes well with tomato based dishes. I gave it a 7/10. 2006 Bodega Alessandro Speri Prodigo, Malbec, priced £16.00 from www.ruta40.com. Matured for 4 months in french oak and aged in the bottle for 5 years, this wine has lots of link and contains hints of oak and cherries. This wine is great for including in dishes cooked in the slow cooker and goes well with winter foods including steak and casserole and I have it a 5/10. 2010 Lacar,Carmenere from Chile, priced £4.95 from The Wine Society. Often called the 'Lost Grape of Bordeaux', this is a full bodied, rich red wine. I gave this wine a 6/10. 2008 Reserva Cabernet Sauvignon from Chile, priced £7.49 from Waitrose This is a good value, good aging, medum to high alcohol wine. It contains blackberry and mint flavours and goes well with hard cheeses and fruity dishes. I gave this wine a 6/10. 2010 Las Moras Late Harvest Viognier, from Argentina, priced £8.95 from Grapeland, St Albans. As I absolutely love a good dessert wine, this was by far my favourite wine of the night.High in sugar and 11 percent alcohol, this wine tasted of aprictos and peaches. It tasted amazing and contrasted really well with the St Agur Cheese. I gave this wine an 11/10 as it was so delicious!! I had a wonderful evening wine tasting at the Hertfordshire Wine School. It was so interesting to find out a bit about the background to the wine that we were drinking and to pick out the different flavours in the wines. I will definitely be sourcing the Viognier as the taste has stayed with me. Do you have a memorable bottle of wine or have you had a memorable wine tasting evening? Thanks to David for a fantastic evening. 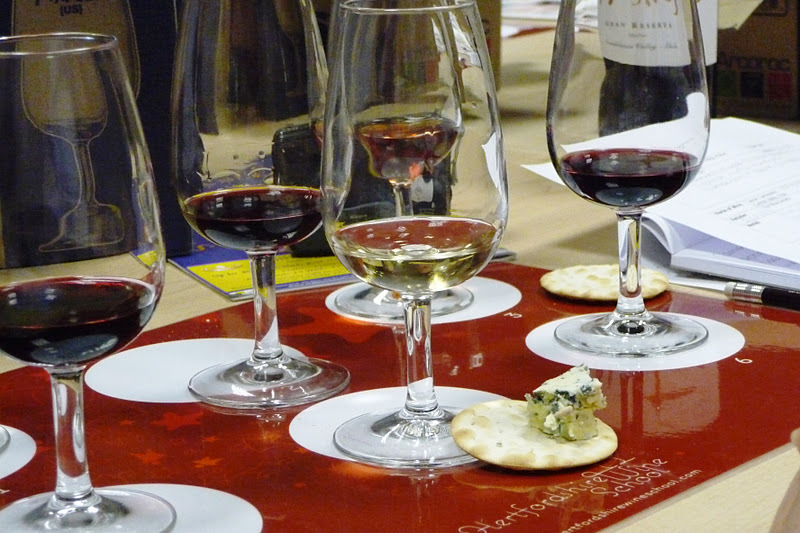 Visit the Hertfordshire Wine School Website to find out more about the courses available.